Langkawi is a pristine and tropical archipelago located in Southeast Asia, off the coast of Malaysia. Malaysia’s best kept secret, Langkawi is a collection of 99 small islands that boast unspoilt beaches, crystal-clear waters and year-round sunshine. The islands are also home to lush green vegetation and beautiful natural waterfalls that make it a true island paradise! Cheap flights to Langkawi are now available for a limited period of time, so book your flight today to enjoy the beautiful white beaches and jungle forests of these gorgeous islands! 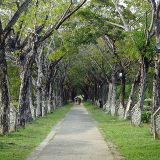 Langkawi is home to Langkawi International Airport (LGK), located 15 minutes from the city centre by car. Langkawi is a beach destination first and foremost and is Asia’s answer to The Maldives. Its 99 islands boast white beaches and turquoise waters that are unspoilt by development and overcrowding. 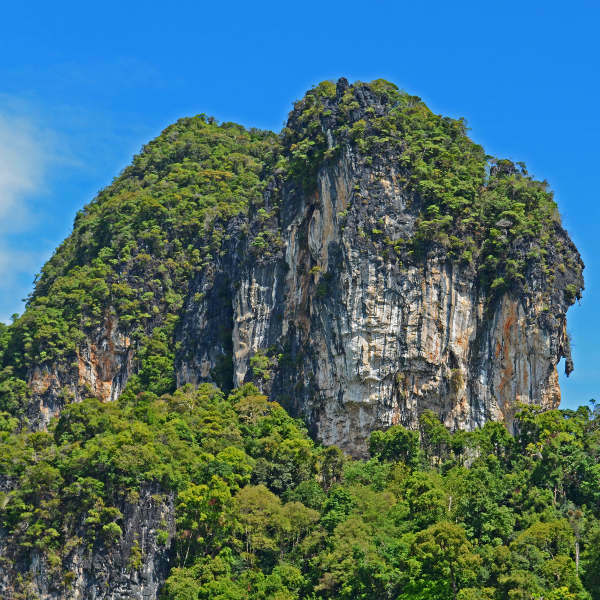 Langkawi’s beautiful tropical surrounds will delight nature-lovers and hikers wanting a break from swimming. Home to exquisite natural waterfalls and a geothermal limestone park, the islands' natural surrounds provide plenty of enjoyable walks and hikes. Langkawi’s local culture is a mixture of Malaysian, Chinese and Thai. 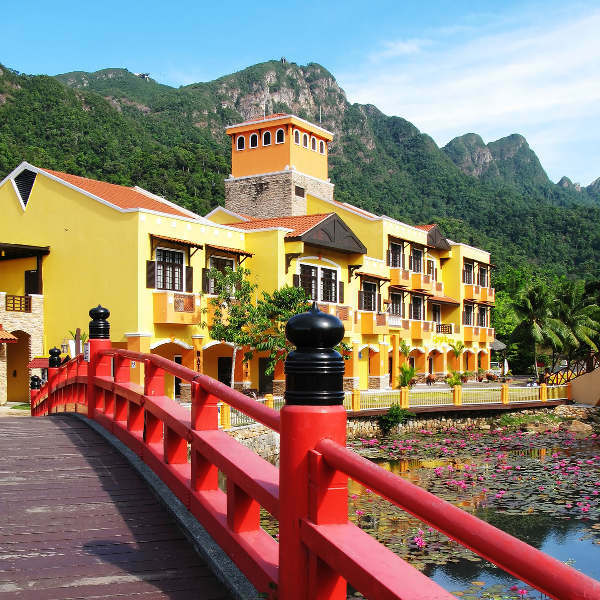 Take a walk around Langkawi Oriental Village and get a feel for the local customs and way of life! High-season in Langkawi coincides with its summer period (running from December to February). During this time minimal rainfall in combination with hours of sunshine attract crowds of tourists every year. Keep in mind that even though summer time is high-season, it is also the hottest time of the year for Langkawi, with temperatures rising into the high 30s. If you are looking for a quieter holiday, with fewer tourists and cooler temperatures, consider going during April and August. This is mid-season for tourist activity, and rainfall is slightly higher at this time, usually occurring in short-bursts before dispersing. Rainfall is at its highest from September to October. If you are not bothered by the rain, then be sure to take advantage of the low-season specials that occur during this time. Located just 30km off mainland Malaysia lies the Langkawi Archipelago. Composed of 99 small islands, Langkawi is Malaysia’s best-kept secret. Boasting clean, pearly-white beaches, calm tropical waters and rich green vegetation, Langkawi is truly an island paradise, unspoilt by industrialisation or development. Visitors to the islands can enjoy gorgeous warm weather all year round with minimal rainfall. Water sports are extremely popular owing to the ideal ocean conditions and jet-skiing, wind-surfing and body-boarding are common activities. If water sports are not really your thing, beach volleyball, tennis and soccer are perfect for some beachfront fun! 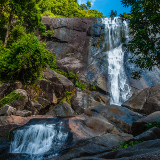 Whether it’s swimming in the crystal-clear water, soaking up the sun on the beach, or taking a hike to Temurun Waterfalls, Langkawi is an ideal destination to visit anytime of the year! Compare several airlines and book your cheap flights to Langkawi online at Travelstart! Langkawi is a relatively safe place to visit with a low crime rate however, visitors should maintain vigilance of possessions and exercise the usual safety precautions. Do not leave valuables unattended on the beach or in cars, as break-ins and petty theft do occur on the islands. Do not explore the local jungle at night, and avoid night-time swimming, as well as swimming in isolated areas. The greatest hazard posed to visitors is jelly-fish stings. Jelly-fish are present further out in Langkawi’s waters, and a few swimmers have been stung in the past. If stung by a jellyfish remain calm and do not panic. Pour vinegar over the sting to help soothe it, and seek an immediate medical check-up. There is a clean, modern hospital on the largest island, but medical facilities are limited and worst-case scenarios may require medical evacuation, so it is recommended to take out medical insurance. No matter where you choose to stay in Langkawi, you will be treated as an esteemed and honoured guest in true Asian hospitality. Whether you are looking to be near the beach or in the backyard of the local jungle, Langkawi’s extensive options of accommodation will have you covered! Young travellers looking for the local nightlife and party scene should stay in Langkawi’s busiest district, Pantai Cenang. Home to high-end beach resorts as well as modest self-catering chalets, guests will love the opportunity to mingle with the locals at the numerous beach-front bars. Enjoy sipping on a cocktail while dipping your toes in the water! If you are looking for more upmarket, exclusive accommodation, Pantai Kok is just the place. 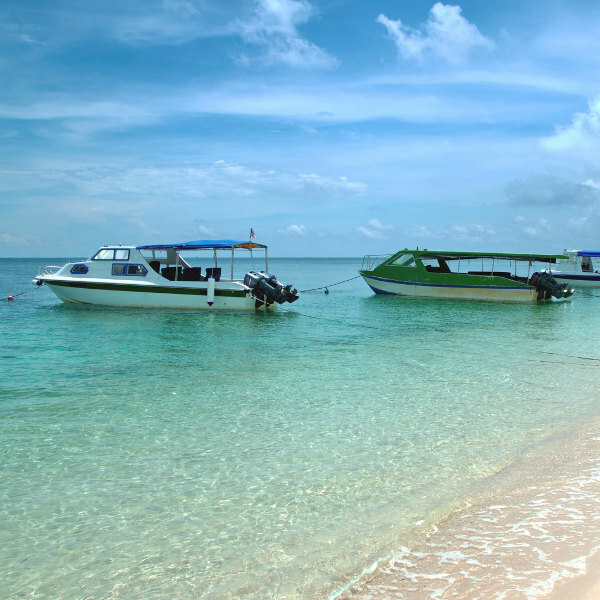 A quiet bay situated near the lush island rainforests, Pantai Kok offers exclusives hotels and apartments for hire. Dining options and nightlife can be found on the waterfront strip, where guests can enjoy dinner with a view of the beautiful marina. Navigating Langkawi is relatively easy with the various transport options the island offers. Taxis are available throughout the island and can be easily flagged down. The downside of taxi rides is that they can be quite pricey as the area is a major tourist destination. The average cost of a short taxi ride can be up to 15 RM. There are a few busses that chart passengers around the island, but the wait for them can be long and extremely boring. Car hire is popular among visitors and many rental companies are available that charge reasonable daily rates. If you would not like to drive, a driver can easily be arranged for an additional fee. Motorcycles for hire are also available at a daily rate of about 25 RM.